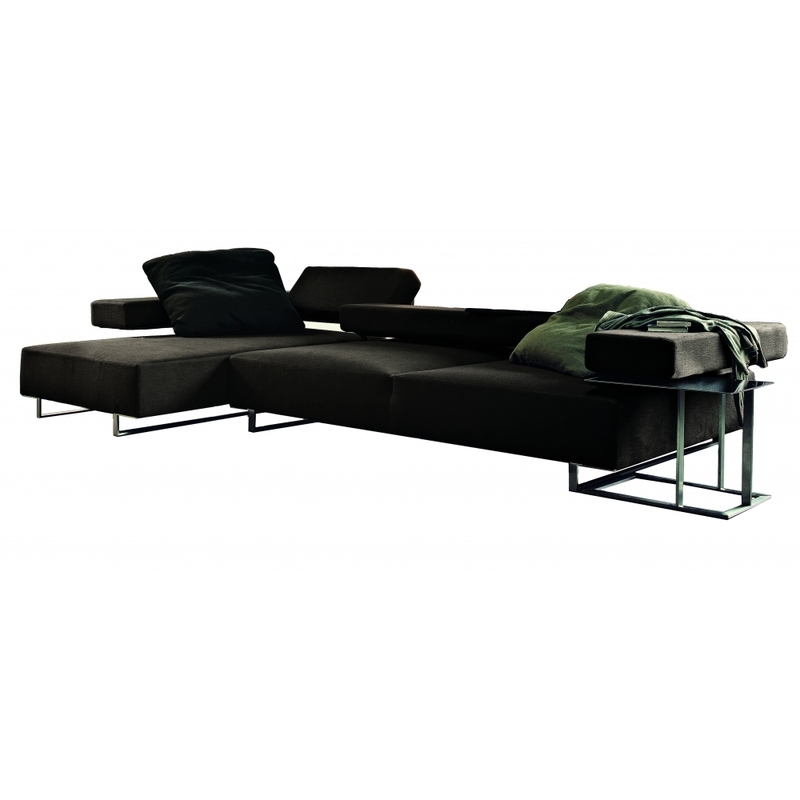 Loft Sofa, designed by Adriano Piazzesi in 2003. The mechanism, which with a simple movement makes it possible to modify the depth of the seating area, remains the priority and original feature of this sofa system, an innovative invention which offers a superior degree of comfort. One mechanism, easy to use, allows two different seat depths: 75 cm for a traditional use and a more upright posture, 120 cm to create a chaise-longue (figure 1). The sofa can be also supplied with split independently-adjustable back, which permits two different seat depths at the same time (figure 2). Another mechanism allows adjustment of the back from horizontal to vertical, through a number of middle positions (figure 3). In this way Loft becomes more than a sofa, it turns into a real open space, a multipurpose platform for relaxation. The feet in are in stainless steel.